Yesterday, Danish Princess Marie visited emergency service of Danish Emergency Management Agency (DEMA) at Copenhagen Airport. The Princess watched a fire fighting drill and a rescue drill in case of an aircraft accident on the runway. Princess Marie has been performing duty as a special project director in the Emergency Planning Department of DEMA since 2016. 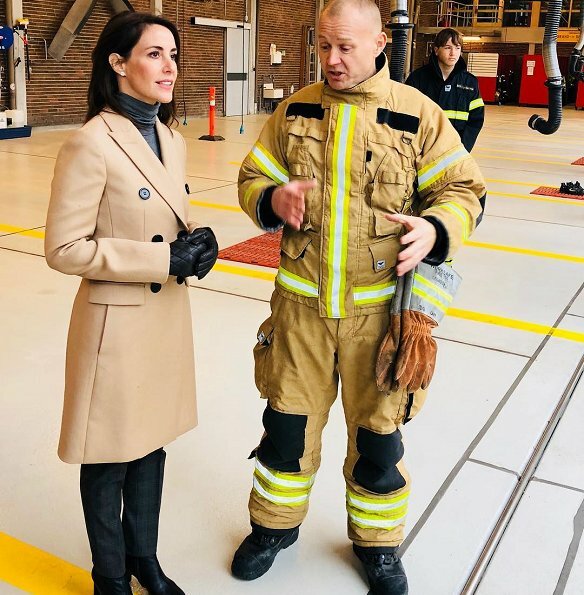 Princess Marie also met with fire brigade personnel working in Vilhelm Lauritzen Terminal. Marie in a pretty classic coat,natural and sweet royal lady. Not at all, she has no style..
Marie's style is classic French, not as spectacular and dramatic as, for example, Maxima's more South American, but it's a taste matter what one prefers and will call style. Both have stuck in a style that is theirs before they became royal. Anja is Swedish, I think! Wherever she hails from, she has class and style, ooo la la! 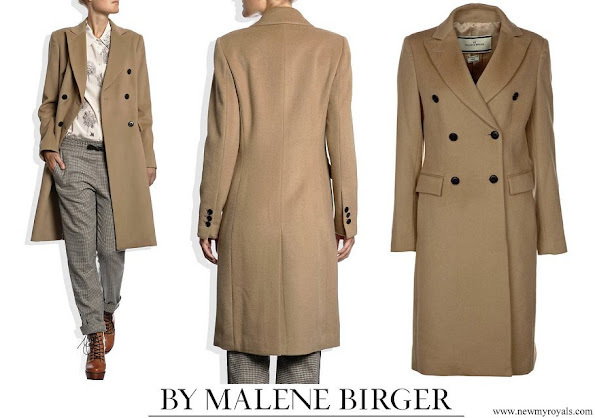 Lovely coat. It suits Marie very well! Pss Marie looks very nice today. Love the coat,the fit is great.